It comes around twice a year, when fellas can treat their ladies to a nice dinner without breaking the bank. The summer 2010 installment of Charlotte Restaurant Week takes place July 16-25. In what's becoming a local dining tradition, this 10-day celebration of some of the city's finest restaurants once again offers a prix fixe, three-course dinner for $30 per person (not including tax and gratuity) at nearly 90 participating restaurants in the Charlotte area. And several restaurants are known to sweeten the deal by either including a fourth course or throwing in a glass of wine. 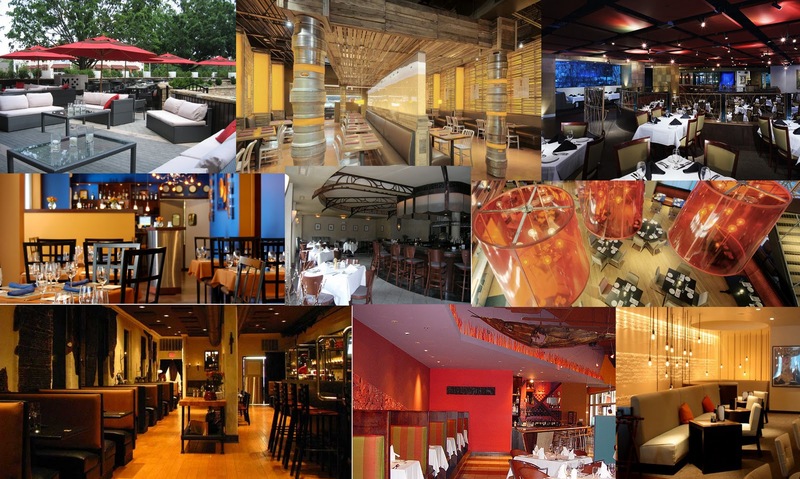 Interior shots of some of the participating restaurants - from left to right - bottom row: Customshop, Aquavina, Aria; middle row: Global, Carpe Diem, Vivace; top row: M5, The Liberty, Blue (click image for larger view). Visit www.charlotterestaurantweek.com for all the details, including the menu items for each restaurant.